Genre-fication: What It Is and How We Did It--Describes the what, when, why, and how of genre-fying our library. If you are unfamiliar with genrefication or are looking for a starting point, read this article. Answers to Reader Questions About Genrefication--I've had lots of questions about genrefication from blog readers and other librarians! If the answer requires more than a short yes or no, I answer it here. 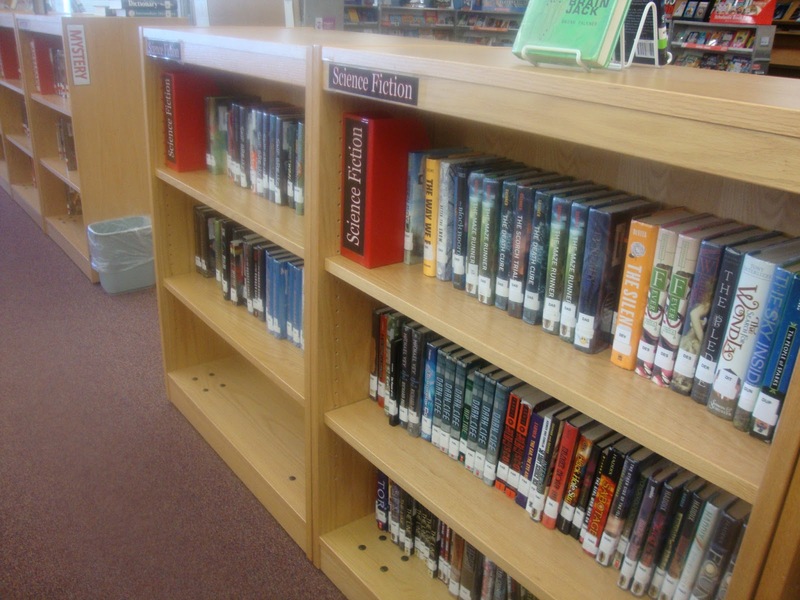 Genrefication Update: 2 Years Later--See how drastically improved after we genre-fied the fiction section. WOW. Genrefying Library #2!--I've just completed genrefying my second library, this time in China. 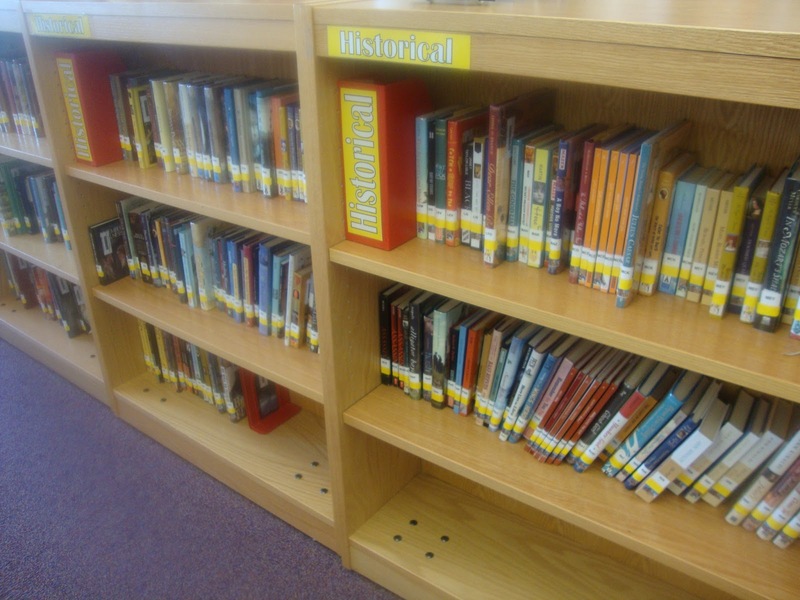 Read about how my projects differed, two ways to genrefy, and why I still don't genrefy my Dewey sections. Remember those magazine personality quizzes we took as teens? This PowerPoint or printable quiz is meant as a 45-minute library lesson. At the end of the quiz, students find out if they are Questioners, Escapists, Innovators, Realists, History Buffs, Thrill-Seekers, Comedians, Romantics, or --new for 2018-2019-- Activists. Each personality type gets multiple genre recommendations just for them! Questioners are curious, intelligent, and have excellent memories. 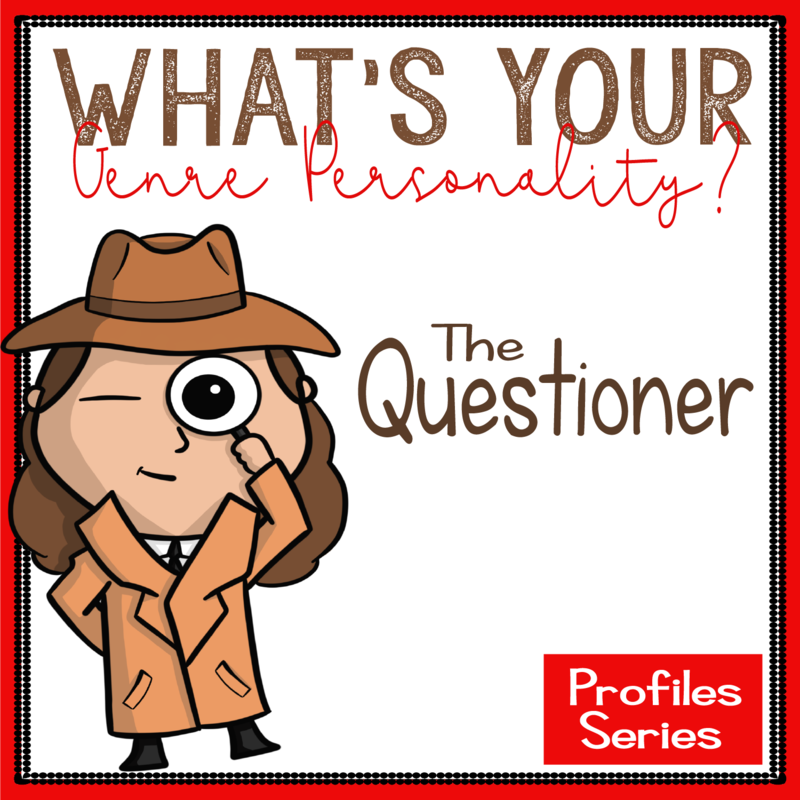 Meet four of my favorite Questioners, how I have struggled with this personality type, and what I've done over the years to overcome these struggles. Includes more detailed profile of Escapists and ways that parents, teachers, and school librarians can help them succeed in and out of school. 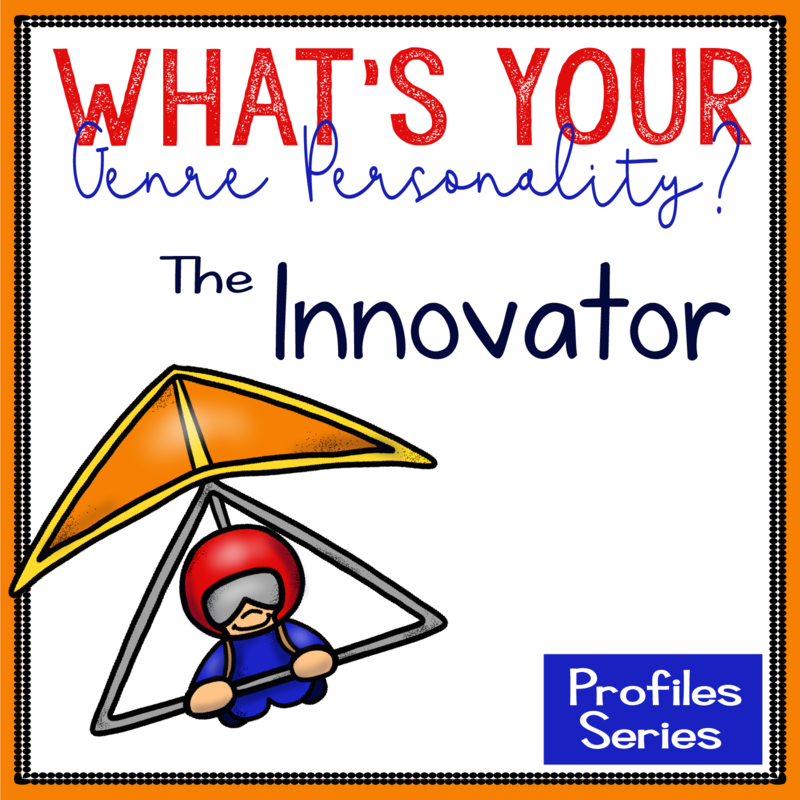 Genre Personality Profile: The Innovator. Innovators are smart, creative, and resourceful. They excel in science, math, and technology, and when they find titles they love, they become completely absorbed in their books. This post includes profiles of three real-life Innovators and tips for parents and teachers of Innovators. Includes more detailed profile of Realists and ways that parents, teachers, and school librarians can help them succeed in and out of school. Discusses why parents, teachers, and caregivers are so important to helping History Buffs make sense of the atrocities they read about. 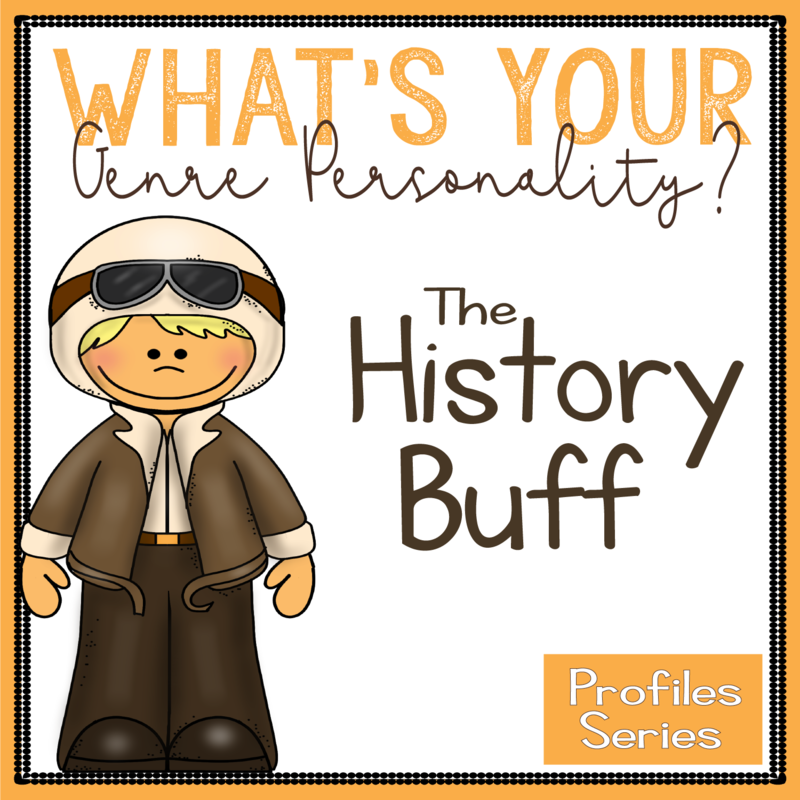 Includes description of The History Buff, profiles of three of my favorite History Buffs, and four tips for adults who work with History Buffs. 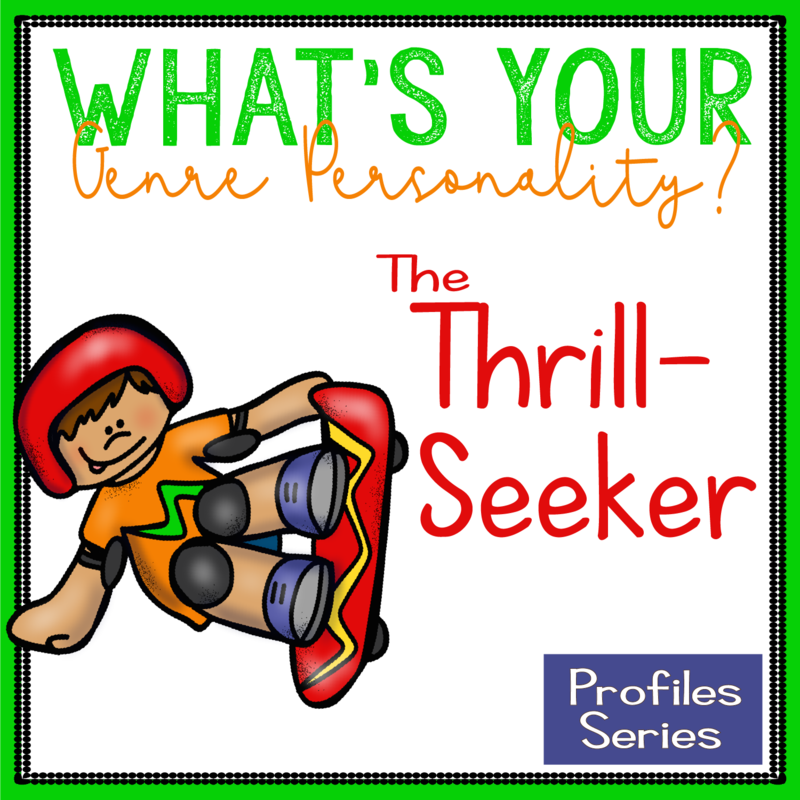 Thrill-Seekers love action and adrenaline! 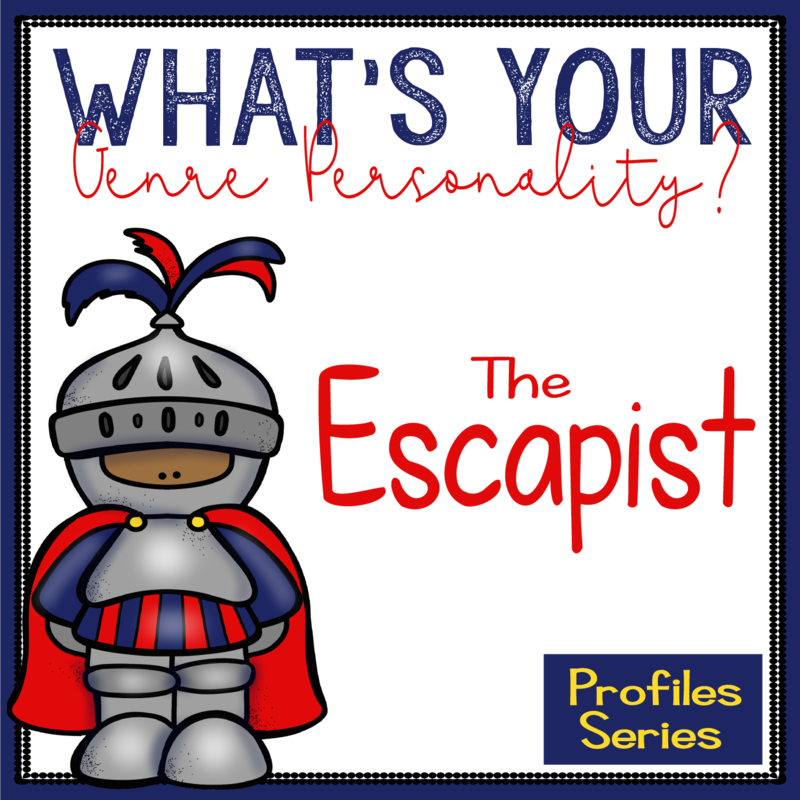 As an Escapist myself, I suspect many Escapists have Thrill-Seeker friends. In this profile, I discuss my lifelong friend Christy, a major Thrill-Seeker and one of the most fun, adventurous people I know. I also discuss why I suspect my Dad is also a Thrill-Seeker. Class Clowns are an interesting bunch. 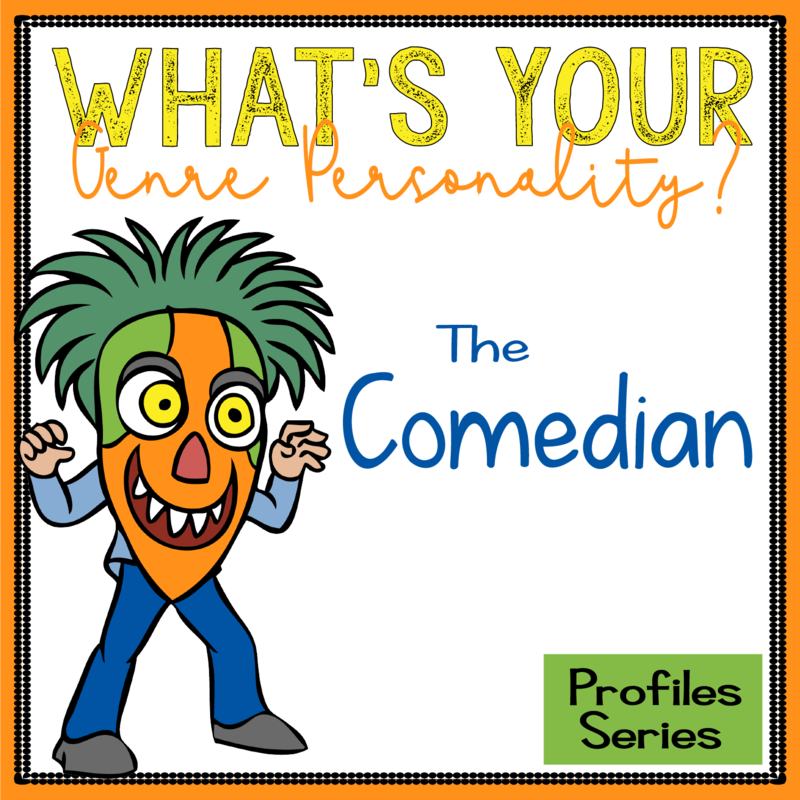 On the surface, the genre personality suggests an outgoing student who attracts attention by being funny. And that is true of some Class Clowns. But I think many Class Clowns worry about their reading abilities, and as a result, are often quiet, somewhat shy, and sensitive. 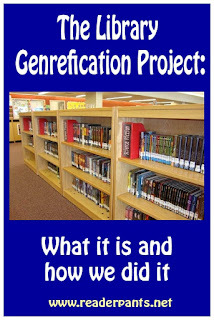 Genrefication Objection #1: If I genrefy my library, my students will not be able to use a public or college library. 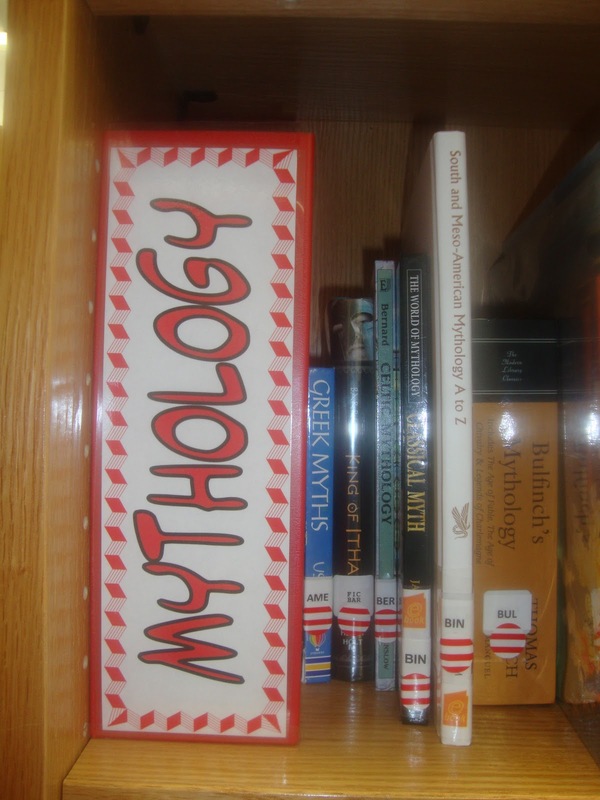 Genrefication Objection #2: It's a librarian's job to teach Dewey search skills, not just enable students to be lazy. Genrefication Objection #5: Genrefication is inconsistent and nonstandard. I purchased these vinyl magazine files to use as shelf signs. Fantasy Genre Tree--I do a new genre tree every year in December. The 2013 Genre tree represents our High Fantasy section. 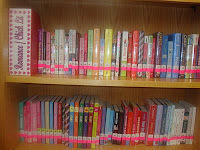 Chick Lit and Realistic Genre Trees--Overview of the first two genre trees in our library and how we did them. Includes lots of photos and cost breakdown. These posts include criteria for the section, most popular books, problems with the section, circulation and holdings stats, and section trends. 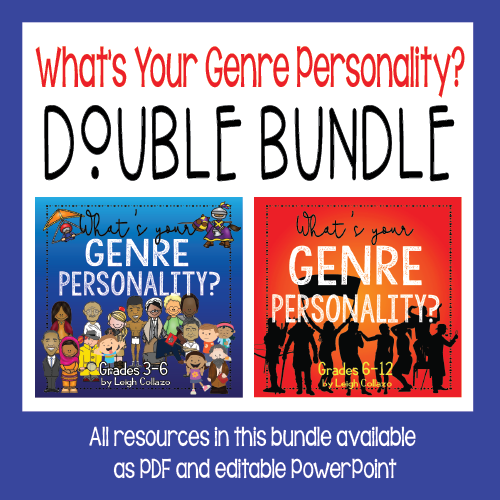 I was so happy to read the Genre Project Spotlight! I was frustrated today trying to decide on titles like Lament & Ballad & other "cross-over" genres. I looked at your genre blog again & was delighted to read the update which has really helped me clarify my project. It is a big undertaking & I have been at it for awhile...but know it will be very rewarding in the end. Anon 10:14 AM--You are so welcome! 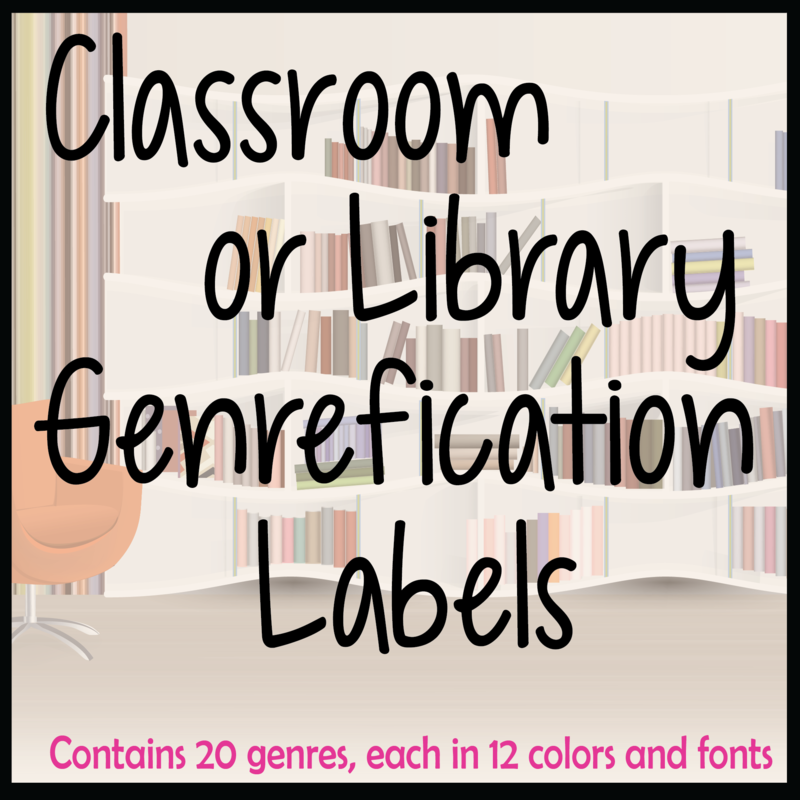 I will be doing some new posts soon about genre-fying in my new school. Overall, it's smoother than the first time, but I still have those pesky books that fit several genres! I get the kids to help with those, but you can always move them if they don't get checked out where they are. But that seems like a long list already! I have Dystopia as a separate genre, because my 8th grade LA teachers do a Dystopia unit every year and the books tend to be really popular with my students. Plus, at 13 genres, that maxes-out the number of colors of tinted-labels I can use, so I'd have no other colors to use in the future if I should want to make another new genre section. And yet, looking at my collection, it doesn't take long to encounter lots of smaller-genres, like Steampunk or Animal Stories (not talking animals, just realistic-fic about animals). How do I cover all possible genres, given a finite amount of colors available for labels? 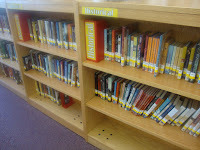 Our school library is now in the middle of the genrefication project, and there are some books which are difficult to decide about. Could you please recommend me a library online catalog where I can check in case of uncertainty? 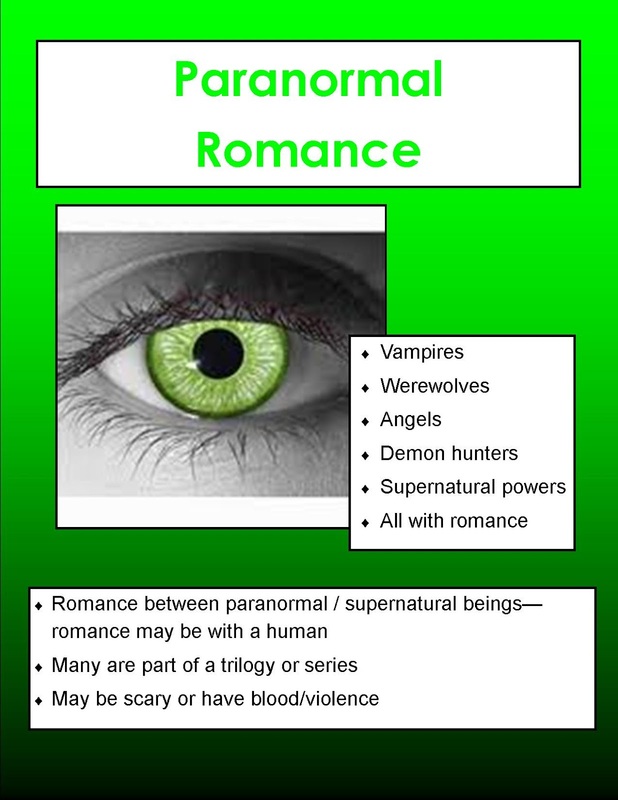 BTW, our genres are: Adventure, Fantasy, Friends and Relationships, Historical Fiction, Horror/Scary, Humor/Satire, Science Fiction, Sports and hobbies, Mystery/Detective. Hi, Elena! Thank you for your comment. You are welcome to use my catalog at http://library.dulwich-suzhou.cn. 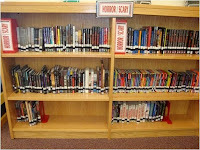 Click on Senior School Library. No login needed. 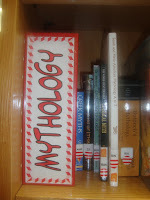 You might also try my previous school's catalog at http://emsisd.follettdestiny.com. Click on Ed Willkie Middle School--no login needed. Loving your blog! After reading about your genrefication journey, I genrefied my middle school fiction section last summer and both I and the students love it. I'm in the process of doing the same for my elementary fiction section, and I'm stuck on what call numbers to use for the realistic fiction and fairy tale sections. (I have slightly different sections names for the MS fiction and so didn't have this issue.) I'm following the same format you used-- the genre placed in the call number before FIC. Writing them out seems excessively long. I thought about REAL FIC, but I'm worried that will confuse students learning about the difference between fiction and non-fiction. 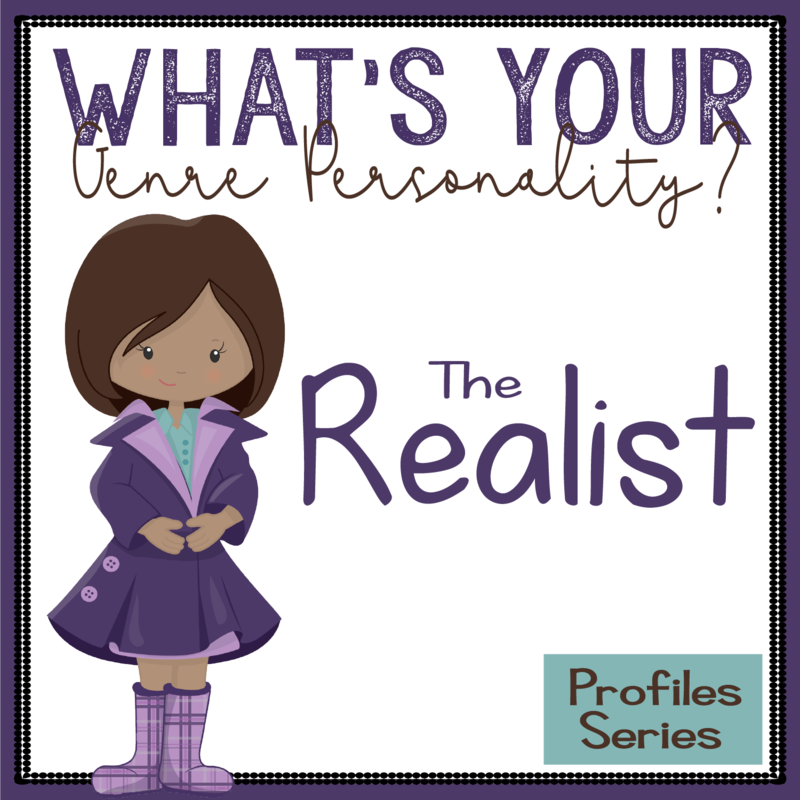 What did you decide on for the realistic fiction and fairy tale sections? Thanks for your wonderful blog and step-by-step directions! Last summer I went for it. 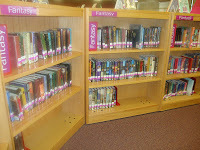 I broke up our Fiction section into several different genres. I asked out L.A. teachers which genres they expected the students to do reports on, and that was my main guideline. The students love it! The teachers think it's great too. Here's what I do when I'm in doubt about which category to put book in: look how amazon classifies it, ask one of my frequent flyer readers, or (hold your breath) put it in more than one area if I have multiple copies. Why not?! Here's a prime example, The Lunar Chronicles by Meyer. The series is a re-imagined version of fairytales with a science fiction twist. If I put a copy in Sci-Fi, and another copy in Fantasy, then maybe I can get a student to like a genre they didn't even know they wanted to try. Ninja librarian! My categories are: Adventure (kind of a when in doubt catch all), Realistic, Fantasy, Sci- Fi, Time Travel (we made a Dr. Who tardis to house it), Horror/Suspense, Mystery, Historical, Graphic Novels, Newbery/Classics. 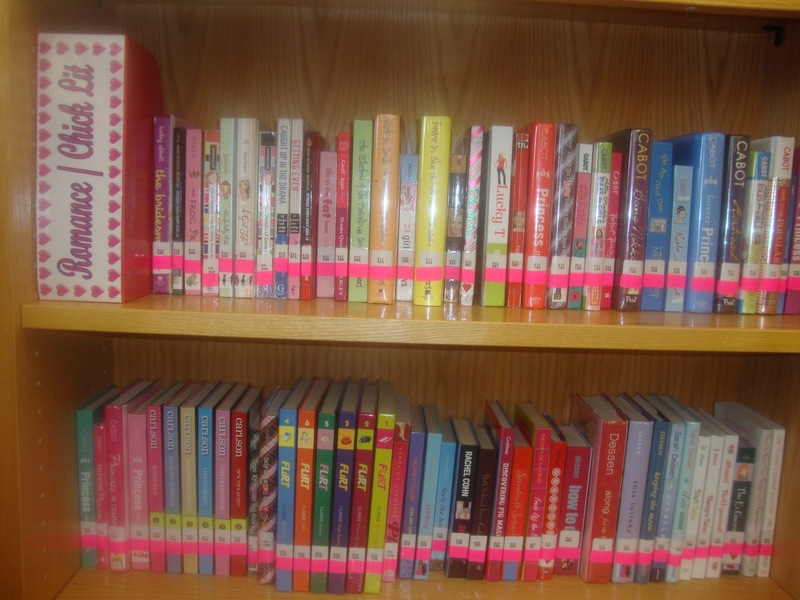 Do you know of any elementary librarians that genre-fied their everybody/easy picture books? If so, how did it work out? I do not personally know any librarians who have genrefied picture books. Our Junior School is genrefied, but picture books are still in alpha by author. Genrefying PBs is really tricky because so many PBs do not really have a genre. I do not recommend genrefying PB, but if you want to break it up a bit, you could split some of the books out into sections like Holidays, Caldecott, ABC books, etc. 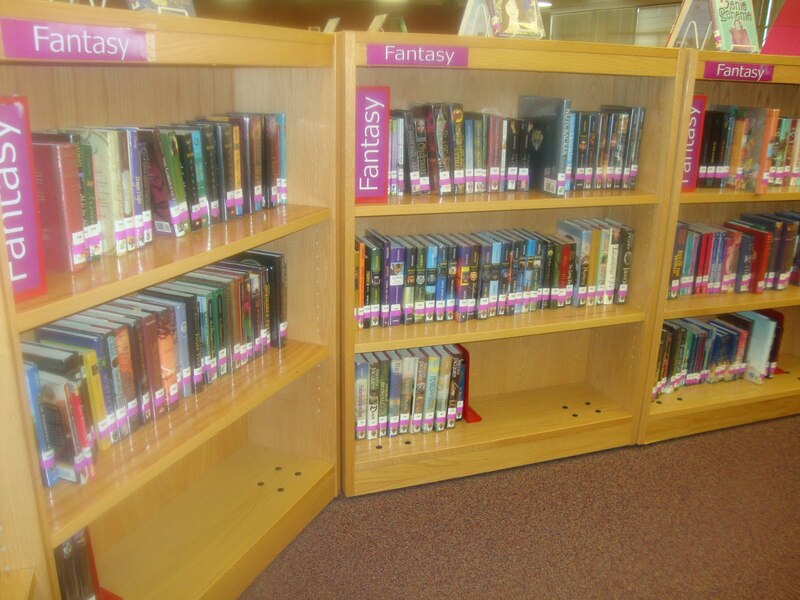 One of my fears (valid or not) of genre-fying my library is that students will label themselves as fantasy only etc. 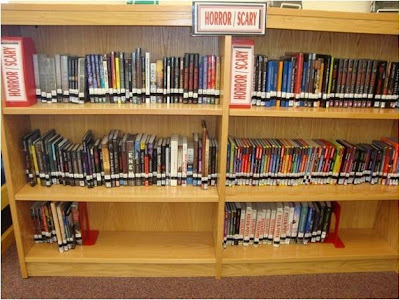 I don't want a student to turn down a book because it is not their genre preference. For example, boys refuse a book that is labeled "Chick Lit" or a die-hard dystopian reader refusing to read a great historical fiction because it doesn't fit who they are. What are your thoughts? I think this is a very interesting question and a valid concern. Neither Dewey or genrefication are perfect, and I'm sure this scenario could also be said of students who won't read poetry or nonfiction or short stories or whatever. I personally think that genrefication makes it easier for students to take a leap into something else since so many genres are similar. For example, it's pretty easy to encourage a student who loves the mystery section to explore the action-adventure or historical fiction sections. 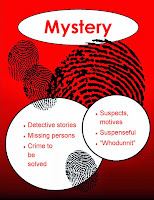 These often contain mysteries, and they may even contain an author the student loves from the mystery section. 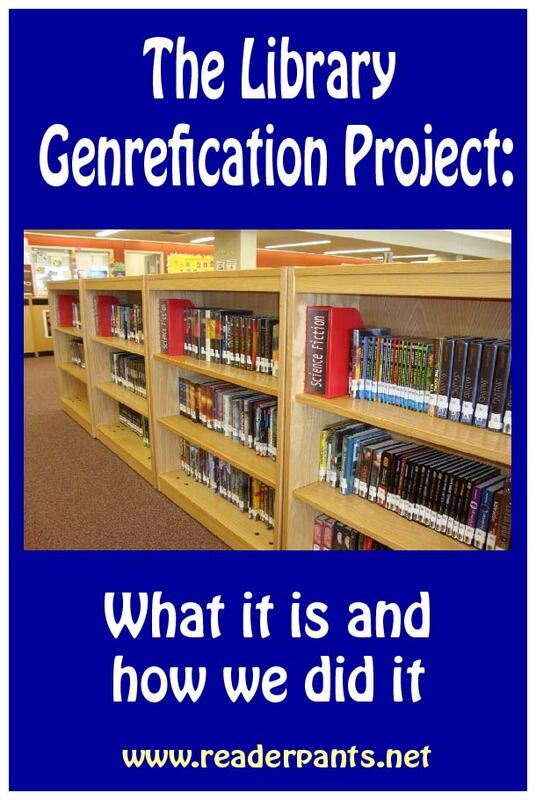 I still think genrefication is far better than a 6000-volume Fiction section, organized only by author's last name. The Dewey system for nonfiction is organized by subject; why shouldn't we help our patrons out by also organizing the fiction section by subject, which for fiction would be the book's genre? The fiction section wasn't nearly as huge in Dewey's day as it is today, and I like to think if Dewey were still around, he would say that it makes sense to split up these enormous fiction sections into something a bit easier to explore. I agree with you that Chick Lit isn't the best label for that section, but that is what the publishing industry calls it. I'm just careful for the books that I put in that section, that they really are solidly Chick Lit. 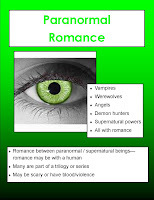 If they could possibly be any other genre, that's where I put them (often Realistic Fiction). I hope that helps! I do see exactly where you are coming from--it's a common objection librarians have to genrefying. 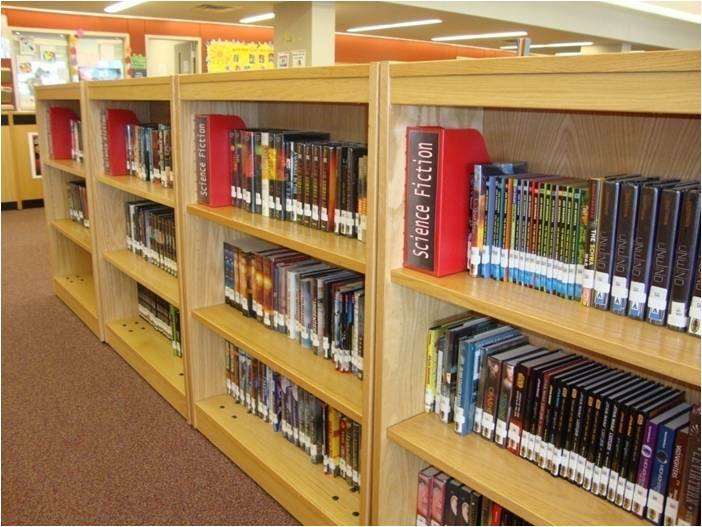 At the end of the day, you need to decide what works best for your library and your patrons.